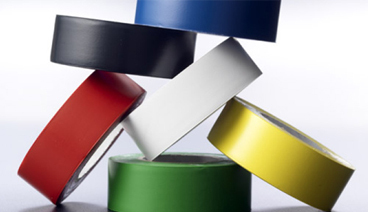 Our 6 mil lane marking tape is designed for use on floors, lanes and aisles in color coding applications. It is ideal for identifying safety, caution and hazard areas on plant and warehouse floors. This vinyl floor marking tape is resistant to water, oil, and chemicals and is puncture and tear resistant. This tape is available in bold semi-gloss colors. A suitable alternative to 3M #471 or Shurtape VP 410. Normally 2” wide, however other sizes are available.